Every Monday morning, in every class, every child and adult participates in a Restorative circle time session. A whole school Restorative Approach is developing the way that pupils make choices about how and what they learn. It helps to ensure that all pupils, including those from different groups, are involved in making decisions about their life in school. Restorative Approaches promotes respect, care and concern for others and is supporting the continuing development of the emotional skills of pupils, including their self-confidence and self-esteem. Our ethos is to notice good behaviour and give attention to children making right choices. This is very effective in encouraging children whose inclination might be to misbehave, to be noticed for doing the right thing! We have a very positive attitude towards discipline. Every Friday assembly is an awards assembly. Each class teacher will present their children with an Achievement Award and a Welsh 'Seren yr Wythnos' certificate, explaining to the school why they have been chosen. Good behaviour is continuously promoted throughout the day by awarding children 'House Points' for their House Team. The winning house is awarded the House cup in our weekly awards assembly. 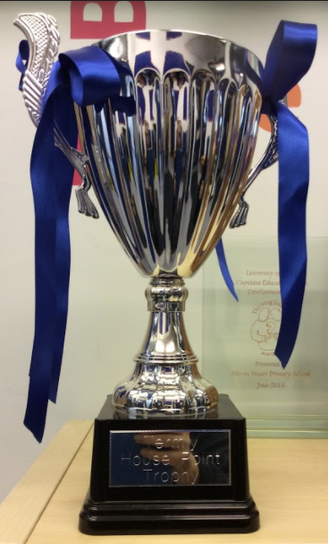 The cup is displayed in the foyer wearing the ribbons of the winning team. How do we promote good behaviour? Children are given clear guidelines of the appropriate behaviour and expectations in all areas based on our ‘Our School Behaviour Code’, which all staff expect the pupils to abide by. The policy is applied equally before school activities, playtimes, lunchtimes, lesson times, school trips and clubs that happen after school. The ‘Good to be Green scheme is an effective way of promoting positive behaviour, rewarding those pupils who consistently behave appropriately, and is a means of being able to track those pupils who find it harder to meet the school’s expected behaviour code. The scheme is very visual, with child friendly resources which allow our pupils to easily see how they are doing in class. 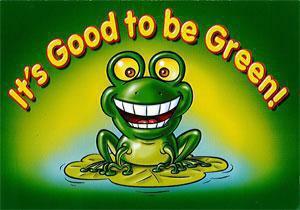 We believe that it is important to promote a positive message regarding behaviour management at all times- ‘Good to be Green’ is a means of promoting our high expectations of positive behaviour. If a child has had a bad lesson, they can start afresh the following lesson. 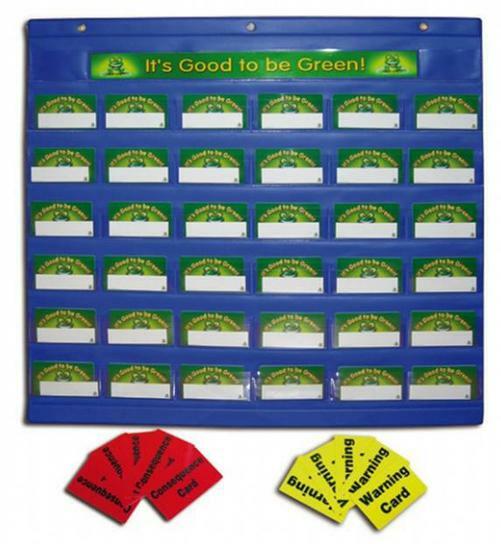 The Good to be Green chart displays every child’s name below a pocket containing a green, amber and red card. In each class, the expected code of conduct (the school’s agreed rules) are displayed. Children have the chance to start afresh on a ‘green card’ every session/lesson and are expected to maintain that status throughout the day. If a child chooses not to adhere to the agreed rules they move onto a yellow card – correcting their behaviour means they can move back to green without further consequence – this acts as their warning. If a child ignores the warning opportunity, and continues to make bad choices through inappropriate behaviour, they are moved to a red card. They will then need to attend a supervised lunchtime ‘Going for Green’ (GFG) session to reflect on their choices. Attendance at lunchtime GFG sessions is recorded. If a child attends the GFG lunch session three times in a half term, then parents are contacted to meet and discuss their child’s behaviour. In Foundation Phase the behaviour management system is based on the visual scheme ‘It’s Good to be Green’ but each class has created their own unique child friendly display, which allow our younger pupils to easily see how they are doing in class.